FQP is celebrating 10 years since the release of FutureQuake 04. The first thing we are doing is publicising something we actually started back at Thought Bubble in 2014. The latest issue of Starburst magazine features a page of actual honest to goodness comics, curated by Ed Fortune each issue for the forseeable will contain a single page of strip. 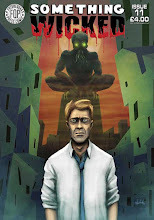 The first of which is a strip by the title of Horror Stories by Jack Davies that is scheduled to be the back cover of this years Something Wicked. We here at FQP have four copies of this issue and will be giving them away to a random selection of customers. 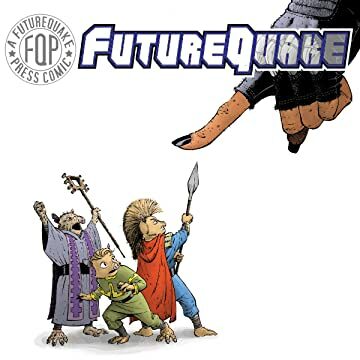 The latest issue of FutureQuake went live for sales on March 1st and the Birmingham Comic Festival is on April 18th (two weeks from time of writing) so all folk (Non-contributors) who bought a copy of FutureQuake 26 by that date will be entered into a random draw and four of you will get a copy of the mag. For those of you that want to join in with the opportunity the link to the FQP shop is here. Thanks again to Ed and Jack for their help in making this happen. FQP At 10! the last hurrah! FQP at 10! The Birmingham comic Festival! FQP at 10- NEROY SPHINX Collection.